They say the best ideas are the most simple. Nothing could prove that more than the latest project from hypnobirthing #mumboss and uber-nice mama to boot, Hollie de Cruz (check out her WHO IS// interview). 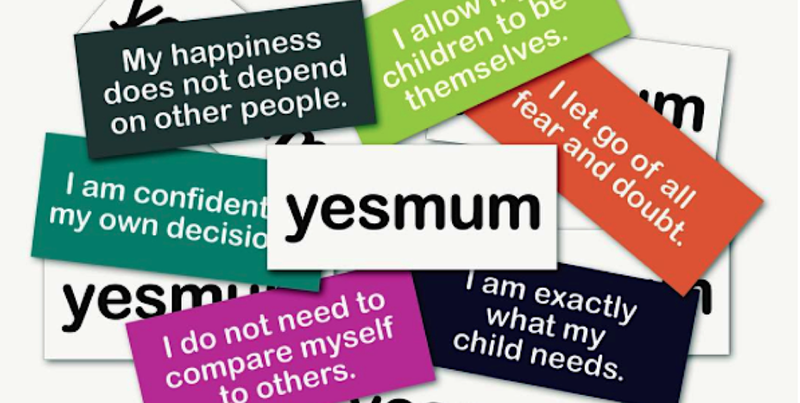 Her Yes Mum cards are taking Instagram by storm and serving to bring our neurotic, worry-filled, wrinkle-inducing stress heads back down to earth in the most beautiful and simple way possible. "Drawing on the techniques of hypnobirthing and mindfulness, yesmum affirmation cards are your daily ‘pat on the back.’ A quick, straightforward way to access the power of positive programming and start each day with strength and self-assurance," explains Hollie. And, if you can believe it, there are cards literally telling you to lie on the sofa all day and watch Netflix while eating Dairy Milk and getting someone else to watch your Small. Seriously though, these are as necessary for every millennial mother's handbag as a pack of wipes and a valium. Put them on your Christmas list.